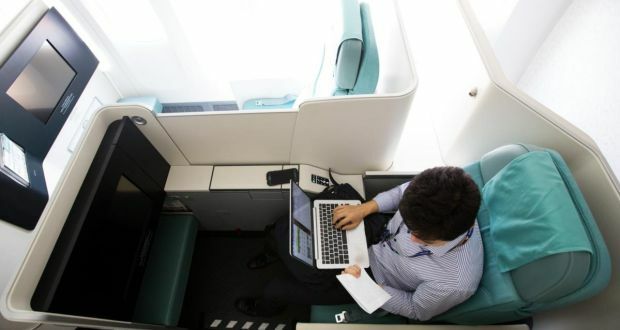 The reality for those who travel extensively for work in planes, trains and automobiles is that it can be exhausting and highly disruptive to social and family life. Consistent red-eye, long-haul or late-night flights upset the body’s natural rhythms, while traffic jams and flight delays are stressful. It becomes a challenge to eat well, get sufficient exercise and avoid the upper respiratory illnesses that seem to go hand in hand with frequent flying. A number of studies have analysed the impact of constant business travel on people’s health and, in broad terms, the findings are negative. It accelerates ageing and can cause chronic long-term health problems. Those who travel 20 or more nights per month are most at risk. They typically have higher blood pressure, body mass index and HDL cholesterol than those who travel no more than six nights a month. The factors contributing to these poorer health outcomes are the usual suspects: high-sugar/high-fat foods, little or inconsistent exercise, jet lag and disrupted sleep. Frequent travellers may also underestimate or conceal just how much it takes out of them and, as a result, don’t allow themselves sufficient time to recover and don’t develop coping strategies to manage the associated stress. The experts say that, while you will get away with the stress, poor eating and insufficient exercise in your 20s and 30s, by the time you hit your 40s, the consequences begin to manifest themselves in conditions such as hypertension, muscular-skeletal problems, type-2 diabetes, gastrointestinal issues and excess weight. Alcohol abuse can also become a problem. The rapid rise in passenger numbers transiting through major airports shows just how mobile people now are. Perpetual motion has become the social norm but this is happening at some cost, according to Prof Scott Cohen, head of the department of tourism and transport at the University of Surrey, and Stefan Gossling of Lund University in Sweden, whose joint study, The Dark Side of Business Travel, investigated what they describe as “a darker side of hypermobility”. In their study, the authors examine the consequences of frequent business (and leisure) travel under three headings: physiological, psychological and emotional and social. They argue that the drawbacks tend to be overshadowed by the popular representation of business travel as glamorous. The authors divide frequent business travellers into the “flourishing hypermobile” and the “floundering hypermobile”. People in the first group either deny the health implications of frequent business travel or are proactive in trying to mitigate them, while people in the second group portray themselves as passive and powerless. In other words, it’s going to take a major shift in how organisations think about what constitutes necessary travel. That’s the gloomy perspective and, of course, there are many who feel either neutral about business travel or find it energising and exciting. Whichever camp you’re in, it’s possible to mitigate the risks with a bit of effort. Nutrition and fitness coach Alva O’Sullivan says avoiding travel burnout is all about keeping your energy levels consistent, so how you eat on the run is critical. When you’re tired and hungry, the lure of fast food or a sweet treat is powerful but planning ahead can help resist it. “You have a routine when you pack your bag the night before, so include some healthy snacks such as oatcakes and nut butter, wholegrain crackers with cheese and raw nuts,” she says. “Keep hydrated but avoid overloading on caffeine and don’t use alcohol as a ‘reward’ for your tiring day. – Leave essential items – toiletries, chargers, etc – permanently in your travel bag. – Pack healthy snacks. Avoid things that melt or spill. – Invest in good-quality noise-cancelling earplugs. – Avoid constant red-eye or late-night flights. – Manage stress. Do whatever helps you chill out. – Choose hotels with leisure facilities. – Pay to use executive lounges. They’re quiet and offer easy access to food/drinks/wifi. – Ditch a heavy laptop for a lighter model to avoid developing neck and shoulder pain. – Routines can help manage jet lag as can flights that maximise the opportunity to sleep.